I downloaded the complex ver. 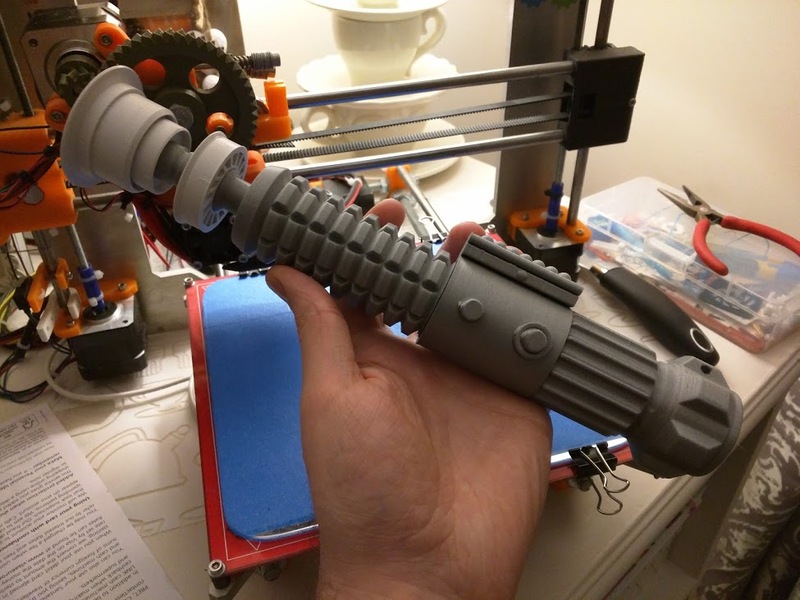 Do not see it here but wanted to say it was the best Light Saber I built so far. None, It's perfect as is. Unfortunately, this was not created in solidworks so there are no solid modelling 'source' files. 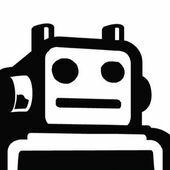 You can use the STL files as reference however. 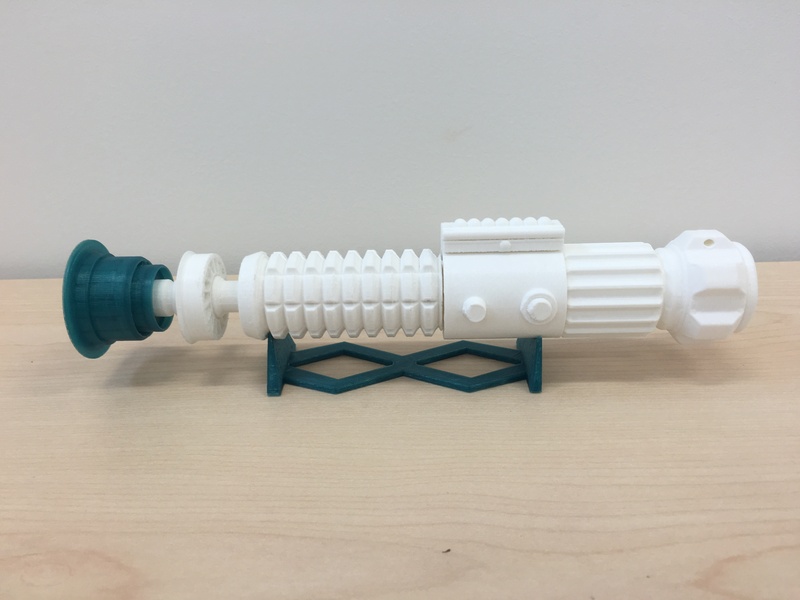 Hi, we're a group of students from Spain, and we would like to use your lightsaber design for a SolidWorks project. 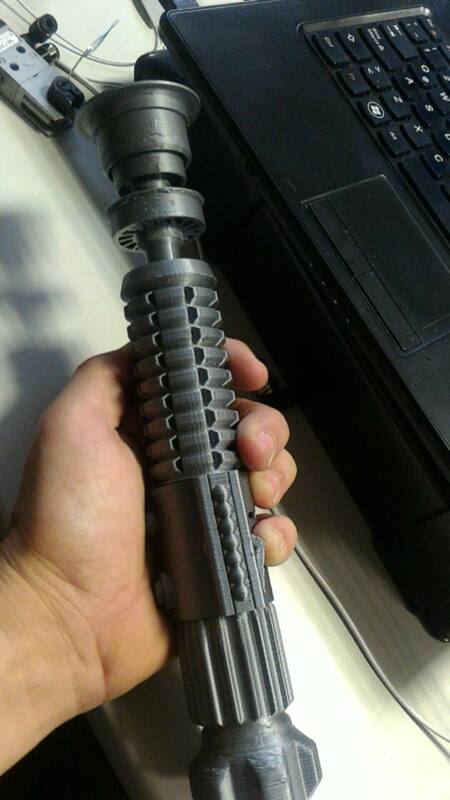 If you could provide us the plans of the different pieces of the lightsaber you would help us a lot. Thanks! Awesome design. Frickin Beautiful! 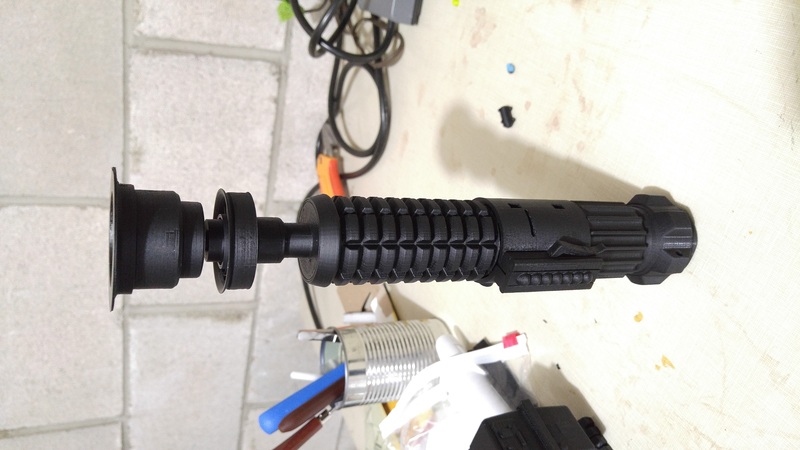 Printed with Hatchbox orange ABS. .15 layer height. Love the design, thanks for sharing it! How did he get the blade attached did he glue it or something. @infiniTTTy Nice compilation! and awesome R2 for being a good sport. Great fit, great model. 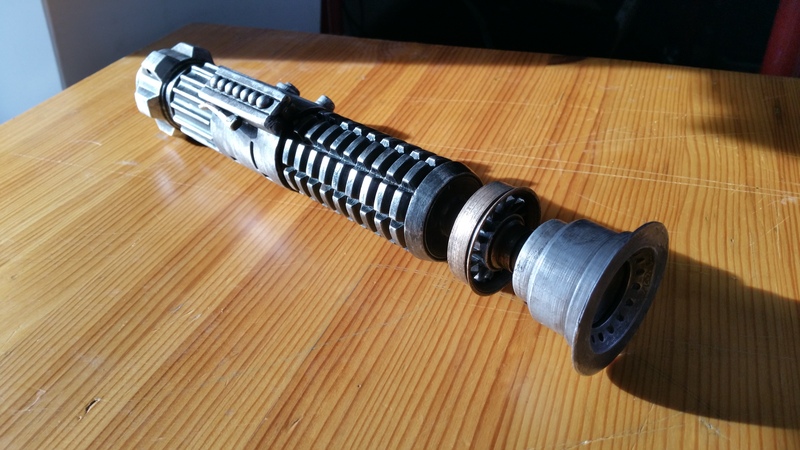 Been 3D printing for years - this is one of my favourite designs! 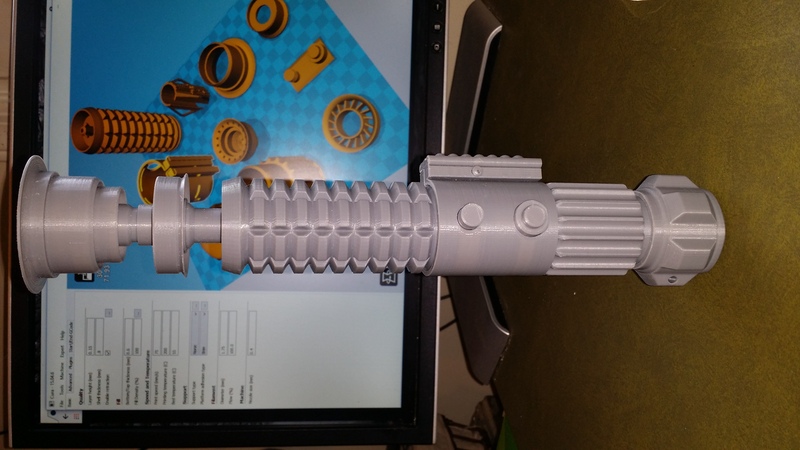 Printed well and all went together nicely, If doing again would have done more perimeters as the connector at top snapped which is my own fault. You could increase number of perimeters (shell thickness) instead of infill. That will give it more strength than more infill and more efficient on materials. What infil are people using for this? Just put the grip and emitter together and snapped off the end by mistake, only at 15% infil wonder if I should have gone higher or just been less clumsy! The model is amazing, we're going to attempt the complex version now though!